Acura has what you might call a Lincoln Problem. Just as Ford is trying to jump-start its dead-in-the-water lux division (Ford sells more Mustangs in a year than Lincoln sells cars) Acura is trying to become more than a purveyor of really nice Hondas. That’s harsh – but it’s reality, insofar as how buyers have responded thus far. Models like the RL – up to now Acura’s top-of-the-line sedan – have sold only tepidly – and have never been much of a threat to the blue bloods: BMW, Benz, Lexus and the rest. Acura (like Lincoln) would like to change that. 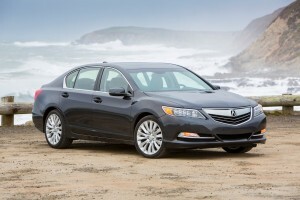 Enter the 2014 RLX – which replaces the RL as the company flagship. It’s all-new and in several ways, very different from the car it replaces. It’s larger – with more backseat room than any other car in this class. It’s got a sophisticated rear-wheel-steering system – and will shortly be available with a hybrid powertrain capable of averaging 30 MPG. But in some also-important ways, it’s not all that different from the old RL. 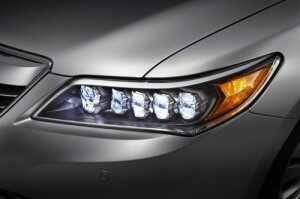 The RLX is Acura’s new top-of-the-line sedan, replacing the RL. Though it is a mid-sized car in terms of its overall length and wheelbase, it’s much roomier inside than others in its class – especially in terms of rearseat legroom. It will initially be available only in FWD form – with a hybrid-powered/AWD version on deck for later in the model year (probably by this fall). The FWD version comes standard with a 310 hp 3.5 liter V-6 and “precision all-wheel steering” (P-AWS), Acura’s term for its rear-wheel steering technology. 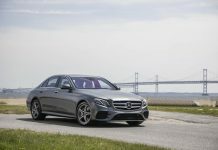 The hybrid (and all-wheel-drive) version – which will offer a combined output of 370 hp from its gas-electric drivetrain – will probably start in the neighborhood of $55-58k, in the same ballpark as the hybrid versions of cars like the BMW 5 “active hybrid” ($61,400), Benz E400 ($55,800) and Lexus GS450h ($59,450). Acura hopes to draw Benz E/BMW 5/Cadillac CTS/Audi A6 and other name brand-inclined mid-sized luxury-sport sedan buyers to the RLX by offering more interior space in a comparably sized package, an unusual layout (rear-steering) lots of high-technology (SMS text-to-speech capability; climate control that adjusts interior temperature based on real-time GPS sun angle data; automatic braking/collision avoidance, etc.) and class-leading fuel economy: 31 on the highway for the FWD version – and an anticipated 30 MPG average from the pending hybrid/AWD model. The 2014 RLX is all-new. Typically Acura tightness of form; classy, subtle. Not “in your face” about its price tag. Different: FWD-based (with rear-wheel-steering) in a RWD-based segment. Standard big six in a segment rapidly going small (and turbo) four. Roomier than price/size equivalent competition. Might be too subtle to stand out enough – the same problem that afflicted the old RL. Gas mileage? Does 30 MPG vs. 24 or 25 MPG matter that much in a $50,000 luxury car? FWD-based layout in a segment where RWD is prized. Rear wheel steering may not be much of a “sell” – because it’s not something the typical driver will notice in everyday driving. 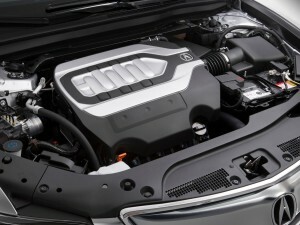 At first, the RLX will be sold only with a conventional (gas-burning) 3.5 liter V-6, producing 310 hp; this engine is paired only with a six-speed automatic – driving the front wheels only. This combo gets the RLX to 60 in about 6.4 seconds – quicker than either the Audi A6 2.0T (7.5 seconds) or the base-engined (3.0 liter/265 hp) Cadillac CTS (7.1 seconds) and exactly even-Steven with the turbo four-powered BMW 528i and the V-6 powered Benz E350. 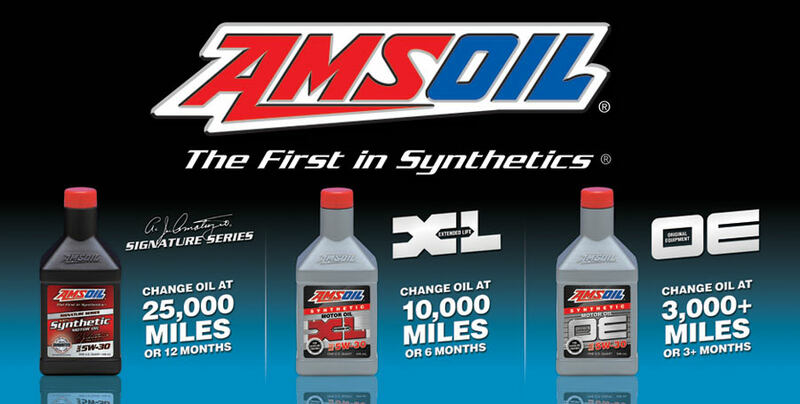 All the competitors listed above offer optional engines – and stronger performance. The A6, for instance, can be ordered with a supercharged V-6 (310 hp) that gets the lighter (3,726 lbs. vs. 3,933 lbs.) Audi to 60 in a very speedy 5.2 seconds. A BMW 535i – with turbo 3.0 six – gets to 60 in 5.9 seconds. The CTS, with its optional 3.6 liter (318 hp) V-6 gets there in about 6 seconds. And you can upgrade to a V-8 in the Benz E. It’s not a cheap upgrade ($60,400 for the 402 hp E550). But it’s available, if you want it. There are also models like the Infiniti G sedan to consider. Though smaller and not nearly as roomy inside as the RLX (with much less room for backseat occupants especially; more on that below) it nonetheless comes standard with a very strong 328 hp V-6 that gets it to 60 in 5.4 seconds. 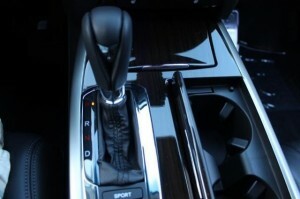 Plus, this lux-sport sedan is available with a manual transmission. 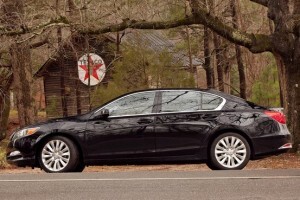 (So is the BMW 5; the CTS and A4 are, like the RLX, automatic-only). Also, all the above models offer AWD right now. The RLX will offer it . . . but not yet. Word is, the hybrid/AWD RLX that’s on deck for later in the year will be quicker than the FWD/V-6 RLX – and will also average 30 MPG. If so, that would be about 6 MPG better – on average – than the AWD-equipped BMW 535i (24 MPG), 8 MPG better than the A6 3.0 Quattro (22 MPG) and 9 MPG better than the thirsty AWD-equipped 3.6 liter Cadillac CTS (21 MPG) and 5 MPG better, on average, than the Benz E350 Bluetec diesel (25 MPG). Also: The RLX you can buy right now does offer a feature that few of its competitors offer: Four wheel steering. Which really means rear-wheel-steering. Acura call it Precision All-Wheel Steer, or P-AWS, which you’ll see in chrome letters on the right side of the trunk lid of RLXs so equipped. Electric actuators adjust toe in (the inward/outward directional angle of the wheels) about 2 degrees, either way, to improve the car’s handling and – specifically – to help the FWD-based RLX understeer less and thus, feel more like a RWD-based car. Rear-wheel-steering is not a new thing, of course. Honda offered it way back in the 1990s, in the Prelude. And GM had Quadrasteer trucks in the early-mid 2000s. 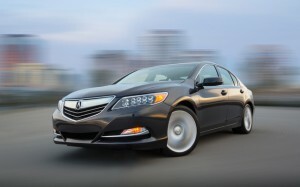 But the RLX’s system not only steers the rear wheels, it is capable of steering each one independently. As the RLX enters a right-handed corner, and the driver begins to turn the steering wheel to the right, P-AWS automatically adjusts the toe-in of the inner rear wheel to the left, which reduces the amount of steering input required by the driver to keep the car tracking with the curve. In a left hand turn, it’s the opposite; rear wheel toe-in adjusts to the right. The set-up has another advantage besides checking the FWD (and thus, nose-heavy) Acura’s natural tendency to understeer: It tightens up low-speed maneuverability – as when sliding into a parking spot. You can turn a bit more sharply – with less steering input. It’s also not a major weight-adder – unlike previous all-wheel-steering systems. 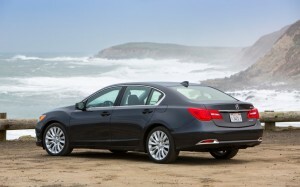 According to Acura, P-AWS fluffs up the RLX’s curb weight by a mere 11 pounds. The RLX is quiet, smooth and powerful. Trouble is, so are the others. 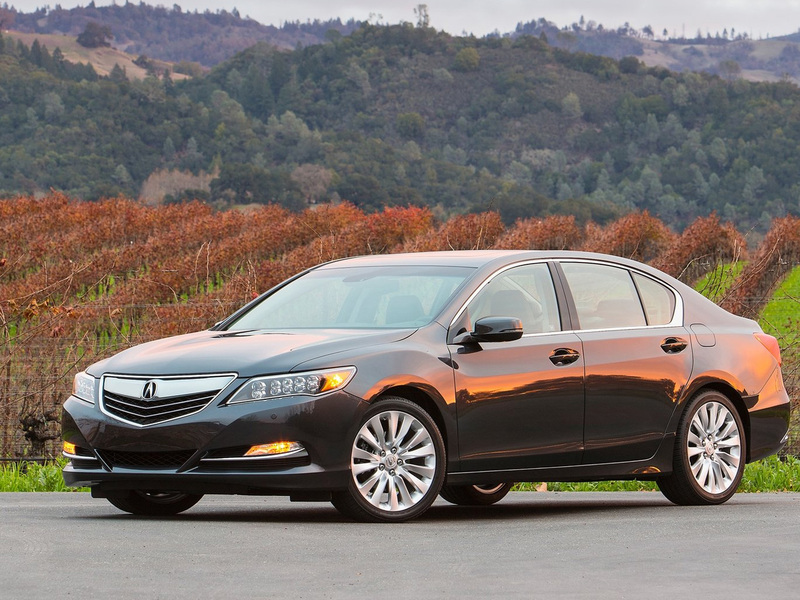 What makes the RLX different? That’s a hard question to answer honestly. The V-6 pulls strongly, but that’s expected – a given – at this price point. What else does it do? What does it do better than the others in this class do? Frankly, the RLX’s V-6 is not much different in terms of how it sounds and pulls than the V-6 in a new Accord – no offense meant. The Accord’s V-6 is a superb V-6. But an Accord V-6 costs a lot less than a V-6 RLX. What makes the RLX’s V-6 worth the $50k? The ride: It is typically lux-sport firm; the steering is precise and on-center. Great. But nothing all that different. If it had been my call, I’d have made the RLX’s ride much firmer and its steering a lot sharper – in order to one-up the sportier cars in this segment like the BMW 5 and Caddy CTS. Or, perhaps much plusher – to out-lux Benz and Lexus and the rest of them. Either way would have been better than the safe, predictable middling-sporty/sort-of-lux balance Acura decided to go with. Because it’s just not memorable. You don’t come away from a test drive thinking to yourself: Wow, that was really special. Which brings up the P-AWS all-wheel-steering. It is technologically brilliant. So are thorium fusion reactors. How many people understand the technology? Or can make use of it? Same issue with the P-AWS. 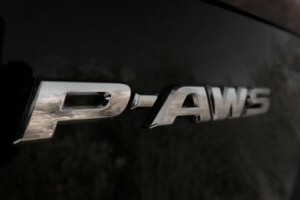 I suspect few drivers will be able to really appreciate P-AWS, because unless they’re doing a slalom around cones or driving on a race track – or really hauling the mail on the street – it’s not something they’re going to notice. There is an ever-widening disconnect between the theoretical capabilities of new cars and the actualities of real-world driving. Especially when it comes to cornering. It’s one thing to notice that car A accelerates more strongly than car B. Everyone accelerates. And can feel the difference between a car that takes 8 seconds to get to 60 and one that can get there in 6.4 seconds. 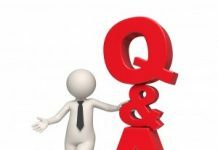 The handling limits of almost any new car – let alone high-performance cars – are so high now that to notice any meaningful difference between the grip threshold of car A and car B, you will need to be driving, shall we say, appreciably faster than the posted speed limit. Not 5 or 10 over. A lot more over than that. If not, “cornering” at or within 10 MPH of the posted limit is an almost effortless, one-hand-on-the-wheel/check-your-e-mail deal in any late-model car. And once you get to a car like the RLX, with its four-wheel-steering . . . .
It’s not unlike having a 20 inch bar chainsaw to cut down a three-inch diameter tree. It’s nice to have, yeah – but you’d cut through just as well with a 16 incher – and probably, never know the difference. The car companies will take guys like me out to a test track to show us what a car equipped with four-wheel-steering can do relative to a similar car without it. Wheel cocked a half-turn, pedal to the floorboard, powering full-tilt through a gymkhana course. . . . But will you ever notice the difference, out there on the street? I doubt one out of a 100 American drivers ever will. Maybe in Germany. 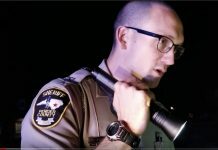 But not here in the USA, land of the radar trap, Tazer and no driving faster than 75 anywhere that’s not Texas. And that’s a problem for Acura. Because a buyer who test drives a new 535i, say, will notice it is quicker pulling out of the dealer’s lot than an RLX. All you have to do is floor it, after all. Anyone can push down on the gas pedal – and you can still do that without risking a Tazering, so long as you back off before you tilt the speed limit. But how many drivers out there – in this country – put a car into a decreasing radius curve posted 35 MPH at 65 MPH? But that’s the kind of driving you have to do in order to get any meaningful appreciation for all-wheel-steering. Hell, for the steering (and cornering) capabilities of any new sport sedan. We have reached a point of diminishing returns. More and higher capabilities that most people can’t realistically make much use of. It’s become a matter of marketing more than real-world enhancement. Acura put a lot of brain-sweat into P-AWS, all to make a FWD-based car handle/react more like a RWD-based car. Why not just make the car RWD? That, people understand. And – in this segment – seem to prefer. Good luck explaining why P-AWS is more desirable. 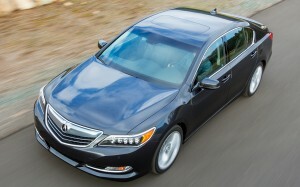 I’m also concerned – well, I would be if I were Acura – about the pending AWD hybrid RLX. Yes, it will be quicker – and that’s very good. So also the 30 MPG average that’s being talked up. But, it will also be heavier – those batteries and electric motors, you know – and I have to wonder how that will affect its handling. I’ve driven several other premium-class hybrids and while they all pull like a team of Clydesdales in a straight line (the advantage here being the immediate torque output of the electric motors to get you going) they are all also lurchier in the curves – which is what you’d expect given the typically several hundred pounds higher curb weight. 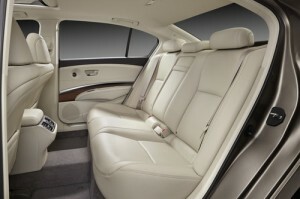 For example: The 2013 Lexus GS450h – the hybrid version of the Lexus GS sedan – weighs 4,190 lbs. The regular GS – non-hybrid – weighs 3,795 lbs. The hybrid is lugging around an additional almost 400 pounds. You definitely notice that in the curves. Ditto the hybrid version of the BMW 5 – which weighs in at 4,398 lbs. vs. 3,814 lbs. for the non-hybrid 528i, a difference of almost 600 pounds. 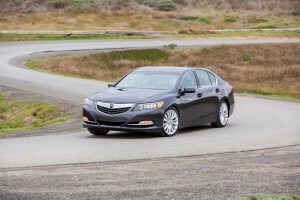 How much heavier will the hybrid/AWD version of the RLX be? The FWD/V-6 version is almost 4,000 pounds as it is (3,933 lbs. to be precise). Going by what current hybrid/AWD cars weigh relative to their non-hybrid (and RWD/FWD) iterations, we can probably expect the hybrid/AWD RLX to weigh at least 4,300 pounds. Add a 200 pound driver and passenger and the car will be probably be not far from 5,000 pounds at the curb. That’s a lot of unsprung mass. Short of an anti-gravity (and anti-centripetal force) field, keeping it all composed under the stress of high-speed cornering is not going to be easy. Maybe Acura will pull it off. But so far, no one else has. The hybrid layout does hold the promise of much better fuel economy. But I have to wonder about the relevance of that when it comes to cars that have $50,000 and up price tags. Does a buyer in a position to afford that care much about a 5-8 MPG advantage? If he’s worried about spending an extra say $100 a month on gas, why not just buy a less expensive car? Here again, I think Acura may have missed the mark – by misreading the realities of the market. Cars in this class – the premium class – are as much about being noticed as they are about anything else. People – Americans – who spend $50k-plus on a car want everyone else to know it. They do not want to fly under the radar. They want klieg lights and marching bands and Michael Buffer (let’s get ready to ruuuummmble!) heralding their arrival. But the new RLX is demure. Other than its striking “jewel-eye” LED headlights, the rest of the car is conventionally handsome – but aesthetically unremarkable. Or rather, not obviously rich. I asked my wife to guess the price of the RLX. She said, “about $38,000.” When I told her the test car’s sticker price – $61,000 with all the bells and whistles – she was really surprised. This is a very nice car. But the plain fact is that there a lot of very nice cars out there – many of them priced $20,000 less than this car. If Acura intends for the RLX to go up against cars that cost what it costs, it ought to look like it costs that much, too. The old RL had the same issue. A very nice car, also. But it just didn’t have the status appeal of the BMWs, et al, it was trying to compete with. There are, of course, buyers who want a high-end car that doesn’t make an obvious issue of it. These buyers will like not only the RLX’s classy, tasteful exterior – they will appreciate its best-in-class legroom for backseat occupants: 38.8 inches. How much is that? It’s 4.1 inches more legroom than the Infiniti G’s got (34.7 inches), 3 inches more than a Benz E-Class (35.8 inches), 2.7 inches more than in the BMW 5 and Caddy CTS (36.1 inches each ), and 1.4 inches more than in the Audi A6. As Acura puts it: full-size car interior space in a mid-sized car package. That’s an objective – and real-world – advantage. Also, some of the little things – like the “tensionless” electronic seatbelts that don’t (under normal driving conditions) cinch you in like Hannibal Lecter; the capless refueling system and the “brake hold” button on the center console you can press to keep the car stationary without needing to keep your foot on the brake (or put the transmission in Park). The keyless entry fob also unlocks all four doors – not just the driver and front seat passenger’s doors. These are features not found in competitor models. But, will it be enough to justify that almost $50k starting price? Acura is betting on high-tech to sell the RLX. In addition to its drivetrain unusualness, this car offers a Forward Collision Warning system that tries to alert the driver to the need to brake when an obstacle such as a slowed-down/stopped car up ahead is detected. A bright orange BRAKE light flashes in the gauge cluster. It is not small. It is a big rectangular thing – and the first time it hit me with its frenetic forewarning, I was more than a little bit startled. I found the system to be overly anticipatory – and far too frantic. It comes on too soon (I’m well aware there’s a car up ahead and am prepared to brake, if necessary – thanks very much) and is itself arguably a distraction that could make the car less rather than more safe to drive. The car will also brake for you, if you forget – or somehow don’t notice that DefCon 1 orange light flashing in your face. Better to just pay attention to your driving – and not rely on gadgets to do your driving for you. Other stuff includes a super-ultra premium 14-speaker Krell audio system, heated and ventilated front seats, rain sensing wipers, blind spot warning, lane departure warning, SMS text-to-speech capability, GPS with manual (button and knob) and touch-sensitive “haptic” controls, integrated smartphone apps – all the “givens” (or rather, what’s expected) in a premium car these days. 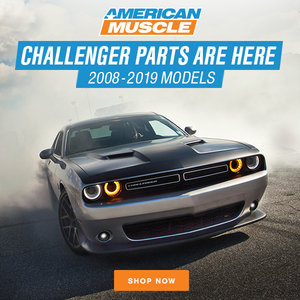 But, again, will it be enough to sell this car in a segment where such things (or similar things) are available in competitor cars that also offer the curb cachet – and more power/performance – for about the same dollars? The new RLX may still be too much like the old RL to succeed where its forbear failed. I agree almost entirely with your take on this car. I think it’s enough to simply conclude that it’s a very fine car (if slightly overpriced) – just like the RL was. So expect no more, (Acura and consumers both), than what the RL delivered. My only gripe is with your take on the hybrid model. The most important thing to remember about cars is that they are not merely data; you can’t start drawing conclusions without, you know, driving it. 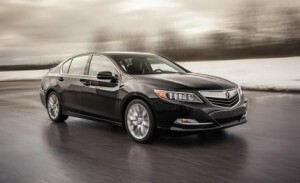 In this instance, keep in mind the car will not be the RLX Hybrid, as the BMW 5-series hybrid or Lexus GS hybrid. It will be the “Sport Hybrid Super-Handling AWD” RLX, with a dual-electric-motor rear differential applying power and negative-torque intelligently and independently to the rear wheels. In other words… perhaps as close as you’ll get to your anti-centripetal force device. Though certainly short of that, it will doubtlessly be different than simply turning the average 4300 pound car through a corner. Regardless, in a review with not many glowing things to say, I don’t feel there’s a need to add negative commentary concerning a version that isn’t available and hasn’t been tested yet. True enough – and fair enough. I will reserve final judgment on the hybrid RL until I’ve driven it – which should be at some point before the end of summer. That said, the same point I made about the current RLX’s rear-steering will probably apply to the RLX hybrid’s motor rear diff. system: It’s too abstract technically for most people to understand – and functionally speaking, it’s not something most people will be able to directly feel the advantage of. There is a big difference between presenting a new car to journalists at a test track and having them run the thing at or near the limit of its capabilities – and the average buyer taking a test drive out of the dealer’s lot. In particular when it comes to “handling.” There isn’t a single sporty or luxury-sport car on the market that doesn’t “handle” – in the sense that it can almost effortlessly glide around a curve at well over the speed limit merely by turning the wheel slightly. You have to be really moving to even begin to notice any meaningful differences, one car to the next. And to get to the point that you’d enjoy a noticeable advantage from something like rear-steering (or individually electrically driven rear wheels) you’d probably have to be driving the car at track level speeds/aggressiveness. * They don’t have the experience/skill to do it. * It is massively illegal; if you get caught running a car near its limits on the road, you can expect huge trouble from the cops and courts. * There isn’t opportunity to do it. The roads in most areas are just too full of other cars. But rear-steering and Super Handling All Wheel Drive? I don’t disagree. My father has the RL with SH-AWD. It has a menu screen where you can see the power being distributed to the individual wheels. It seems impossible to get that thing to light up more than a bar or two in any direction. Perhaps on a track, like you said, but not in daily driving; and certainly not by my 65 year old father. I think we generally agree on this car. But here’s hoping the Sport Hybrid ups the real-world effect. I will keep you posted; should have the SH-AWD hybrid to test within the next two months. why did Honda go to the trouble of setting this whole new division for the snooty when SAAB was availible? I have always liked Acuras. They are what Honda should be, however, they should be rear wheel drive. All their other positive attributes go up in smoke. The only other good thing about Hondas is that, to date, they are easy to work on. I’d be very reluctant to buy the RLX because of its rear-wheel-steering set-up. 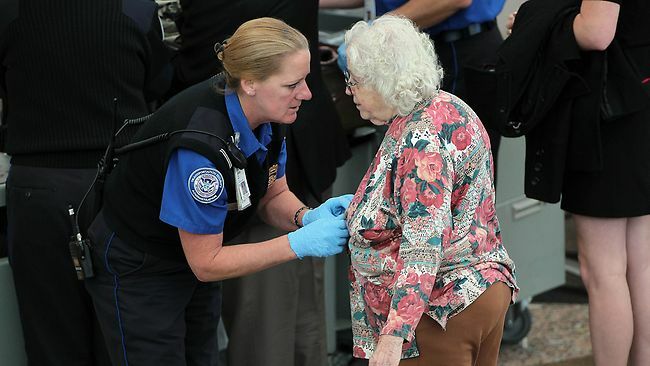 Maybe this system is simpler/more durable, but in the past, these systems have often proved to be very expensive to fix, as well as not very reliable. But Acura as had issues for a while IMO. The only car I ever really liked was the NSX, mainly because it is the refined, mature and less tempermental brother of the MR2 (which I have had a mild love affair with for about 15 years now) with a different mother. I have often opined about buying a 10-15 year old one but always shied away due to the exotic materials used within the engine. Maybe when I get a CNC mill and laithe in my workshop, haha. Whenever I see an Acura them I typically think “meh”, but knowing they are FWD, it is more like “yech”. I am sure there will be some thugarific wannabe rap stars that will “pimp” this out though. 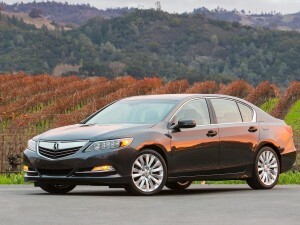 Though to be fair to Acura, the RLX (though FWD) is not just a stretched (and high-priced Accord). The problem is – it looks like it could be. The Accord has an available 3.5 liter V-6. The RLX also uses a 3.5 liter V-6. I suspect it is basically the same V-6, just tuned-up for more power in the RLX. On FWD: Audi gets away with it, but (in my opinion) only because the market associates Audi with AWD – which is offered or standard in all Audi models and has been for years. But otherwise, this segment is very RWD-minded. Acura went to a lot of trouble to mimic the handling of a RWD car by using rear-wheel-steering. Well, why not just make the car RWD? I also think they should have given it an engine that didn’t share displacement and layout (and probably a lot of other things) with the engine used in $28k Hondas…..
All those techno-gizmos, but still, only a 6 speed transmission? Still clinging to that ugly, sales killing schnoz? Acura has decided to brand itself as the car maker for pretentious, metrosexual yuppies, who have no real understanding or interest in cars. Ironic to expect loyalty from that group. Acura is a disgrace to the Honda name. 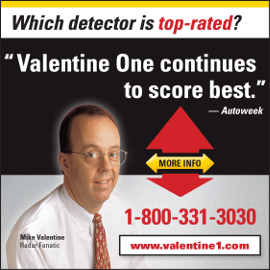 I’d suggest firing all the Acura executives. But in reality, I think the brand is permanently tainted. Time for Acura to just fade away. 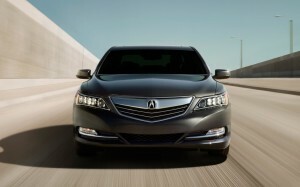 The Acura-Lincoln parallels are pretty startling. Both companies once offered some genuinely cool cars (MK VII, LS for Lincoln; Integra, original NSX for Acura). Then they both just… stalled out. This RLX is not objectionable in any significant way. But that’s hardly sufficient to justify buying one over something dramatic like the CTS (like it or hate it), or something with curb cachet – status – like a BMW 5 or Benz E.
Personally, my fave is the Infiniti G. That thing is hard to hate and easy to love. Yeah, the back seat is cramped. But who the hell cares about back seat legroom in a sport sedan anyhow? They’re there for “in a pinch.” Otherwise, what matters is what’s under the hood… and also that extra pedal to the left of the brake pedal.